Whether you’re interviewing rock stars, planning an event with folks from work, or just need to get your grandpa’s rants down on (digital) tape, there are plenty of apps ready and waiting to record your calls for you. But each seems to work differently. Some of them require an extra setup step to record, like connecting to an online recorder via the conference call setting on your mobile. We’ve tried to explain the recording process for each one of our favorites, as well as the various features they offer. And one word of warning: Check your local laws to make sure you’re not doing anything illegal. Recording a call that you’re a part of is usually above board, but in some parts of the world (and some many states in the US) you need the consent of everyone involved in the call before you can hit the record button. One of the best features of Automatic Call Recorder Pro (Android) is in the name—the automatic aspect of it, which you can set to apply to all calls or specific contacts in the app settings. You can simply set it and forget it while it records your calls in the background. And it really is fully automatic—thanks to the nature of Android you don’t need to press any buttons to record your calls as they come in and go out. The experience can vary between Android phones though, with some handsets blocking this kind of call recording integration, and the developer recommends trying the free version before paying to make sure it works for you. To the app’s credit there are a lot of settings you can tweak if it doesn’t work the first time, and there are some other goodies available such as integration with Dropbox and Google Drive to make it easy to share your files to friends, family, or attorneys after you’ve recorded. It doesn’t have the most elegant name we’ve ever seen, but TapeACall Pro (iOS, Android) is nevertheless a solid call recording program that gives you just about every feature you could want and then some, from saveable MP3s to straightforward setup and use. A big red button appears on screen during calls—you need to tap on this and then set up a conference call between you, your contact and TapeACall Pro’s servers, but it’s pretty easy to do, and the instructions are shown on the app listing page. The downside are the in-app purchases and subscription prices ($7.99 a year), but if you do a lot of recording it’s well worth it. In return you get unlimited recording, instant sharing options, and all your calls backed up safely in the cloud to be retrievable at at any time. In terms of the completely free options out there, Call Recorder (Android) is about as good as you’re going to get, though you’ll have to put up with some ads. To get rid of the ads and access extra features (such as Dropbox syncing), upgrade to the paid-for version. It’s slick, and simple to use, but this being Android, certain handsets running certain versions of the OS can have problems. However, the developer offers plenty of help through the app page listing and the app’s own website, which isn’t always a given. As with Automatic Call Recorder Pro, Call Recorder can integrate directly into Android’s calling system, recording everything automatically without so much as a button press to distract you from your chats. 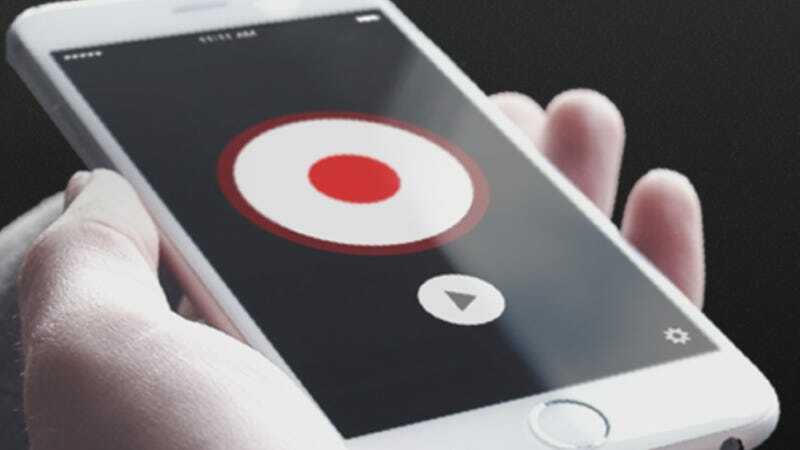 Call Recording is a solution developed by a voice transcription service and so, as you would expect, it has voice transcription built in if you need it. The Call Recording by NoNotes (iOS) pricing is similar to TapeACall Pro, with unlimited recordings for the monthly price of $8. It ticks most of the boxes that need to be ticked in a call recording program: support for incoming and outgoing calls, a clean and usable interface, straightforward operation... plus the transcription bonus. You get 20 minutes of recordings a month for free, too. The app is similar to TapeACall Pro in that calls are routed through NoNotes’ servers: outgoing calls can be initiated through the app and incoming calls can be recorded by adding the NoNotes line as a third party to your conversation.